Konrad often draws instruction manual illustrations. The above example was for a DIY flooring manual. Konrad "drew" loads of vector illustrations explaining the installation steps. This project was a commission by Steinhaus Flooring. This project was a commission by Altech. 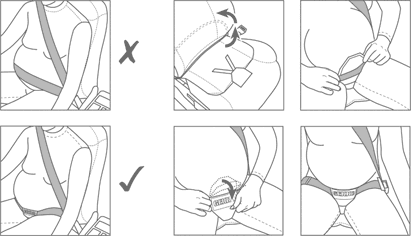 The client needed us to draw a series of instructional panels for their packaging, explaining how to use their special seatbelt, designed for pregnant women. Konrad gets a certain kick out of these types of instruction manual line drawings – he's a vector art enthusiast. Commissioned by Gekko pregnancy seatbelts. Yes, we even do maps. 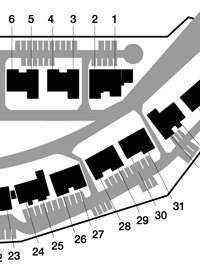 Our vector art is much neater and easier to read than your average re-photocopied map or hand-drawn diagram. Konrad has an obsessive streak in him which means he actually enjoys doing this kind of thing. These building plans were part of a series consisting of a few hundred property valuation maps Rode & Associates Property Consultants used in a presentation to a client. When stylising presentations we distinguish our client from the average Joe. In the competitive world of business you need leave a good impression to prevent your company from disappearing into the abyss of "just another business." 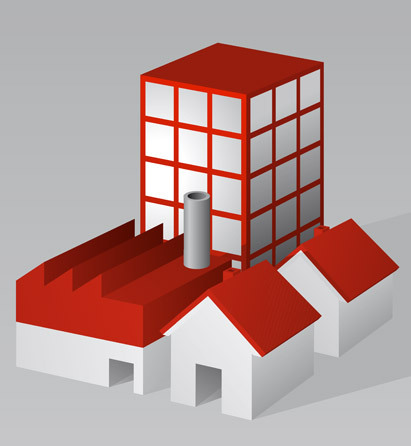 This 2D illustration was created for a series of online property economics publications. The challenge with this kind of design is to keep the objects simple and recognisable at small display sizes. The Shuttleworth Foundation has a keen interest in advocating the use of Open Source software, the term used to describe software that is not copyrighted, but instead is the collective effort of volunteer developers around the world, on a quest to improve human living standards by providing these products free of charge. This benefits especially Third World countries. 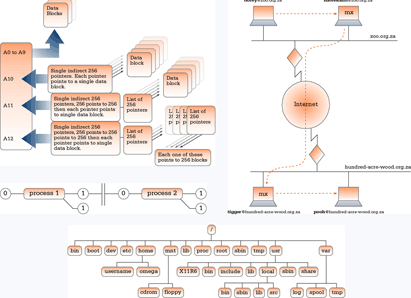 Konrad was commissioned by TSF to provide information graphics in aid of a Linux tutorial for their website - basically to draw diagrams - no real feat. The diagram simply had to be clear and pleasant to the eye. The only challenge was to create the diagrams in such a way that the final PNG files would be really, really small, considering South Africa's painfully slow internet at the time, i.e. no complex graphics or gradients, and relatively monochrome.